This one is all about evolution. The CTX1300 family of bikes has taken a proven formula and completely reinvented it. With innovations in the bodywork and smart decisions like integrated saddlebags, the CTX1300 is proof that Honda knows how to progress the sport-tour motorcycle. This street bike outperforms with 1261cc V-4 engine with plenty of power. Tuned for more low-to-midrange torque in the city and loads of roll-on power for the open road, the CTX1300 greatly enhances your touring experience. It has a low-maintenance shaft drive, minimalist windscreen and lockable hard bags designed for the long haul. You can depend on its traction control, anti-lock breaks and an under seat fuel tank for optimum weight distribution. 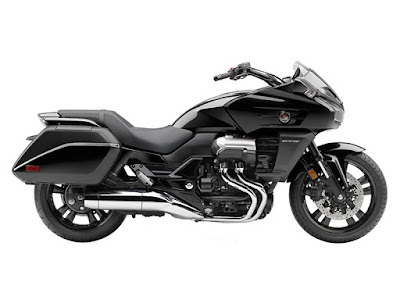 The CTX1300 stands alone as unique and advanced sport-tour motorcycle with refined styling. Great at stoplights and comfortable for cruising, the enhanced riding position from the low 29.1” seat height contribute to the relaxed feel for the long haul. And if you’re finding your way on the CTX700, the CTX1300 is the next step in your riding evolution.